Diabetes sufferers are constantly checking their insulin levels to avoid health scares, and researchers often try to make headway in making that process as easy as possible. 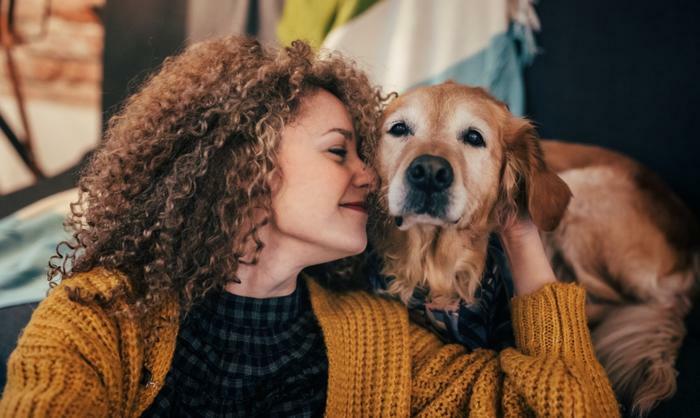 Now, researchers from the University of Bristol found that type 1 diabetes sufferers could see improvements in their day-to-day lives with the help of a medical detection dog. Having a detection dog to monitor glucose levels could serve as a non-invasive, all-natural option for patients. To see just how effective the detection dogs can be, the researchers followed nearly 30 trained dogs and their owners across a six- to 12-week period. The dogs are trained to respond to their specific owners’ needs, and as both pet and owner form a bond over time, the dog can become attuned to their owners’ behaviors, which can help alert the dog in case of emergency. The dogs are trained to sniff out when their owners’ blood sugar is dipping too low, so they can be very effective at heading off a medical emergency before it can happen. Seeing the dogs’ response, an owner can take the necessary steps to regulate their blood sugar. The researchers found that there are several variables at play that affect trained dogs’ effectiveness at responding to their owners’ varying blood sugar, including if the dog was previously a pet and how intense the dog’s training was. However, the researchers found that the results were better than they anticipated, and they think this could be a great way for diabetes sufferers to have an all-natural remedy to regulating their blood sugar. Medical detection dogs could serve as a good alternative, especially after a recent report found that many diabetes sufferers are checking their blood sugar too often. According to the study, researchers found that millions of people with type 2 diabetes are checking their blood sugar more than is necessary, which can become costly to insurance companies and consumers. Additionally, for those testing too often, they can become inundated with so many different readings and become unsure of which ones to follow. For those who don’t want to prick their fingers, the Food and Drug Administration approved a new device that would check blood sugar without a finger prick. Users would insert a small sensor wire below the skin with a patch, and the device would always be monitoring the wearers’ blood sugar. To check current levels, users would wave a registered mobile device over the wire.